Most growers are accustomed to fertilizing their plants in order to grow strong, healthy crops quickly, but how do you know exactly what your soil needs? A variety of soil testers are on the market today that test different qualities of the soil to give growers all the information they are looking for in one place. Before deciding to purchase a soil tester, you should know what types are available, what exactly you need to test and if there is anything else you need to keep the tester in good condition. 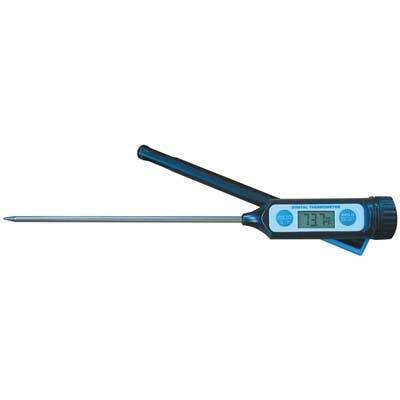 At TekSupply, we offer many types of soil testers for your specific needs and all the accessories you need to go with it. Testing your soil before adding fertilizer is crucial because without knowing pH and TDS levels, the temperature and more, you won't know what the soil is lacking and what it needs. Soil testers allow you to test many specific qualities of your soil with one simple tool, making fertilization easy and accurate. Besides choosing which fertilizer to use, testing the soil can help you decide what plants will grow well in the soil in the first place. If you are unsure what plants will grow best in your soil, you may waste valuable time and money by starting crops that end up failing because the soil conditions weren't appropriate for their needs. Overfertilization can also be avoided by testing the soil before treating it. Overfertilizing crops can cause plants to grow too much too quickly, leaving them susceptible to more diseases. There are many issues that testing the soil can avoid, so it is important to test it regularly, but it is also very important to be testing for the right things. What are soil testers used for? Since there are so many different soil traits that can be tested, you should know what specific things you want to keep track of. A common soil trait growers test is the pH level. Knowing the pH level of your soil is crucial because different plants require different pH levels to grow well. pH is measured on a scale of one to fourteen, with seven being neutral. Any value under seven is considered acidic, while everything above seven is considered alkaline. Soil pH can affect the nutrients already present in the soil, as well as how well fertilizers work. If soil is too acidic, the chemicals in the fertilizer will "stick" to soil particles, making it impossible for plants to get them. Check the seeds' label or talk with an experienced grower to determine what pH level is necessary for the plants you are growing. As a note, do not test the soil right after adding fertilizers because results will be off. Another soil trait that can be tested is the conductivity of the soil. This can be measured in two ways. Total dissolved solids, or TDS, is a measure of how much fertilizer is present in the soil and is calculated in parts per million (ppm). Electrical conductivity, or EC, also measures the amount of nutrients in the soil, but is calculated in milli Siemens per centimeter (µS/cm). Knowing the conductivity of your soil means you know how many available nutrients there are in your soil. From this, you can decide how much fertilizer your plants need. 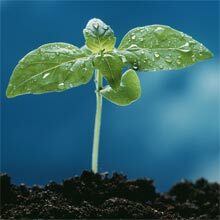 It is important to note that only the nutrients that have already dissolved into the soil are available to crops. 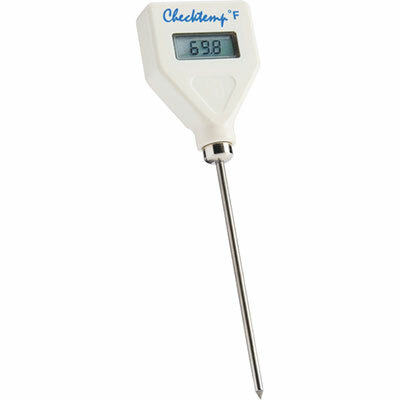 Soil temperature is also a critical measurement in deciding how and what to grow. Different types of crops need different soil temperatures to germinate, so before you plant you should test the temperature of the soil you plan to use. 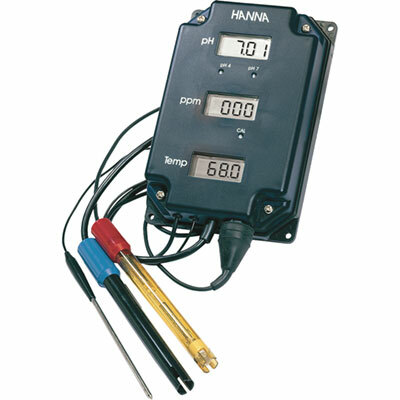 Soil temperature should be measured at planting depth to be sure the results are accurate. To find the most ideal temperature for the plants you are growing, refer to the seed package or talk with an experienced grower. What types of soil testers exist? 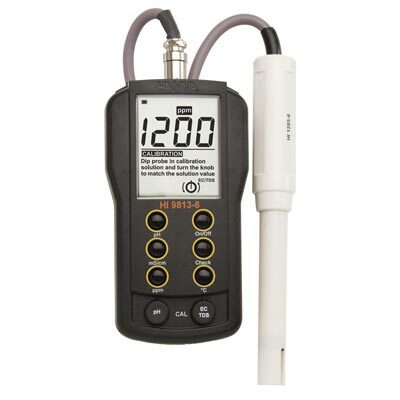 At TekSupply, we offer many different soil testers with various combinations of measurements. 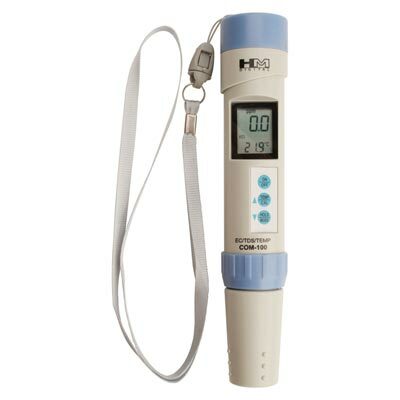 If you are simply looking to measure pH, we carry an affordable and accurate Soil pH Meter. 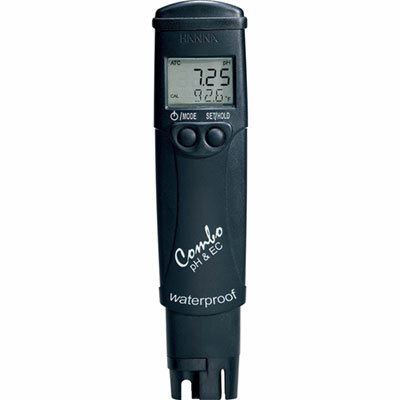 There are similar meters available that measure moisture and light. If you want to measure pH levels and conductivity levels, there are a variety of testers available that combine these measurements. It is important to know if you are interested in EC, TDS or both before choosing a tester. For growers who want to keep a close eye on all soil activities, there is a Soil Testing Kit available that contains enough equipment to perform four different soil tests ten times. This kit comes in a durable case, with instructions for each type of test. If you are not sure what measurements you are interested in, contact us and we will help you find the perfect soil tester for your unique needs. How do you care for soil testers? In order to continue to get accurate measurements from your soil tester, you have to properly care for it. TekSupply carries the solutions needed to keep each tester working at its best, which are recommended on each tester's product page. 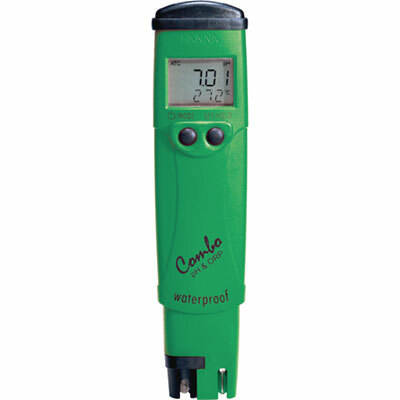 Testers should be used with the correct calibration solution, if available, and also be cleaned and stored properly. Testing your soil is crucial in making sure crops thrive in the environment you are providing them. With so many different soil traits to keep in check, purchasing a soil tester that can do them all can be a great choice, saving you time, money and storage space. If you are a hobby grower and only looking to test one condition, many simpler testers are available to make sure your soil will work for your plants. TekSupply's soil testers can make growing easier and much more fun, giving your plants a better chance to grow into healthy and delicious vegetables or become beautiful flowers. Have questions about Soil Testers? Visit Live Help or Contact Us.